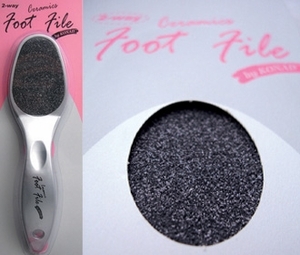 Two-sided ceramic foot file. Easily removes Calluses and Dry Skin. Leaves Skin Feeling Noticeablely Smoother.